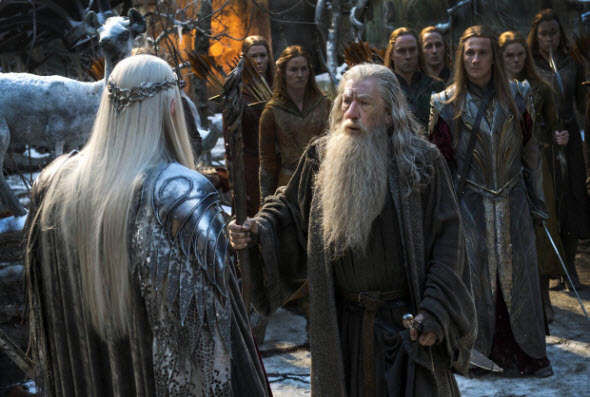 Two weeks ago, we told you about the official film’s synopsis, and today would like to present you the fresh The Hobbit: The Battle of the Five Armies photos and teaser. If you follow the events in the motion picture and the video game industries, then you know that, at the end of last week, Comic-Con convention was held in San Diego. The new details about one of the anticipated this year’s films - The Hobbit: The Battle of the Five Armies movie - have been also told. 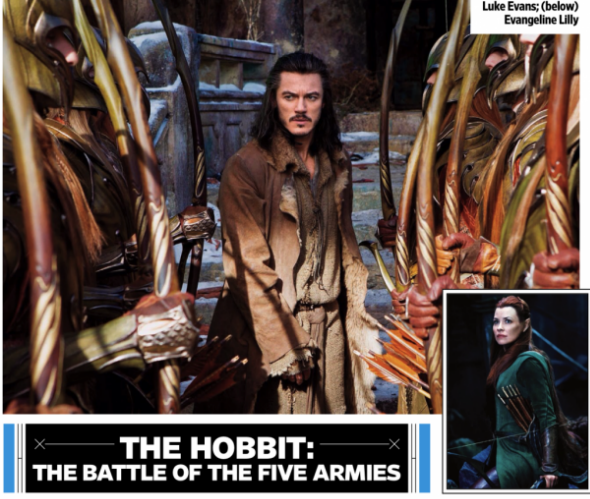 Firstly, the new The Hobbit: The Battle of the Five Armies’ photos have been presented, then we have been told when the full-fledged trailer will be shown and which rating it will have. Also, the new short film’s teaser was demonstrated. But let’s talk about everything in order. 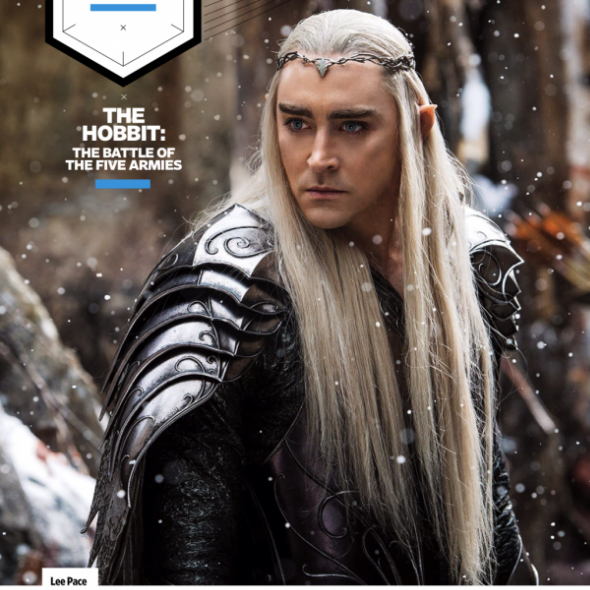 First of all, we would like to present you new The Hobbit: The Battle of the Five Armies photos. On 4 pictures, published below, you can see some beloved characters of this franchise - Gandalf, Thranduil, Bard and Tauriel. And, as always, the actors who play these amazing heroes - Ian McKellen, Lee Pace, Luke Evans and Evangeline Lilly - are immense in their lines. So, just look and enjoy. The next thing concerns the teaser and the information about the upcoming film’s trailer. Yesterday, the creators of the franchise published the short teaser, which is available below, and told that the full-fledged trailer (almost 2 minutes long) will be presented today, on Monday. According to the latest information, this video will have PG rating, and it means that some material may not be suitable for children. And while we are waiting for this trailer, we suggest you watching The Hobbit: The Battle of the Five Armies teaser, and then writting us about your impressions in the comments below. 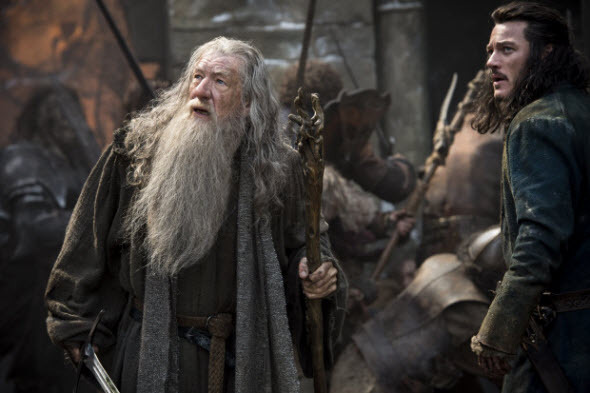 The Hobbit: The Battle of the Five Armies movie will hit the USA cinemas on the 17th of December, 2014.